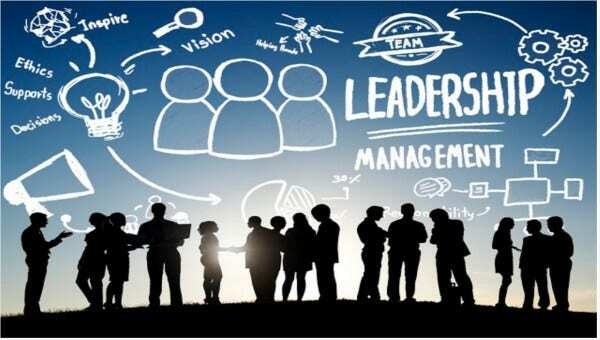 Human Resources Management is a cluster of various individual tasks and every task is unique in its own way. How about bringing them all under one umbrella? Our HR Forms/Templates Bundle is a knight in shining armor. These HR form freebies are absolutely free. Add them to your collection. They help you report to your boss in a professional manner. They are available in all major formats including doc, Docx, pdf, ott (open office). Interview Evaluation Forms are intended to rank the candidate’s overall performance for the required position. We understand that taking interviews all the day is so hectic. If that is not enough, preparing the Interview Evaluation Form adds to your stress. Our HR Interview Evaluation Forms are absolute freebies. 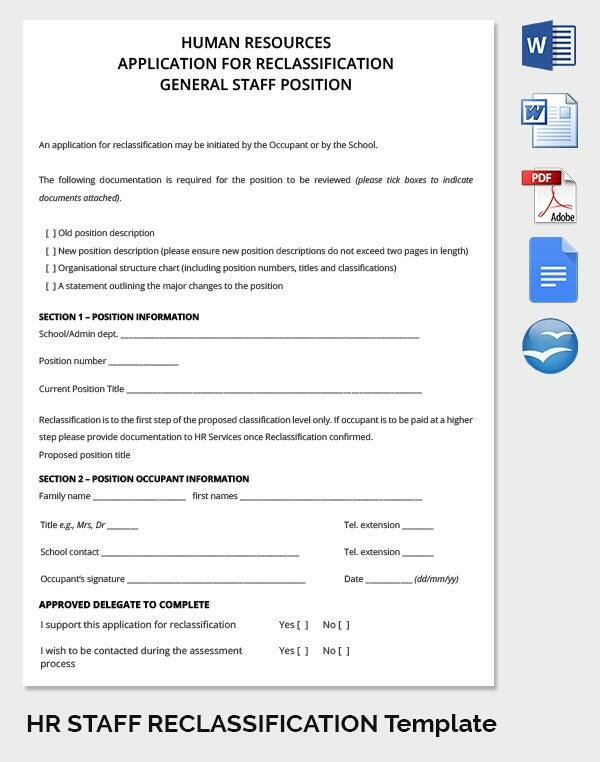 Position Request Form infers your eligibility for a particular position at an organization. Our Position Request Form to HR exudes your interest along with the eligibility criteria to the HR Manager. Do you have any concerns regarding your work or are you not in good terms with any of your peers? 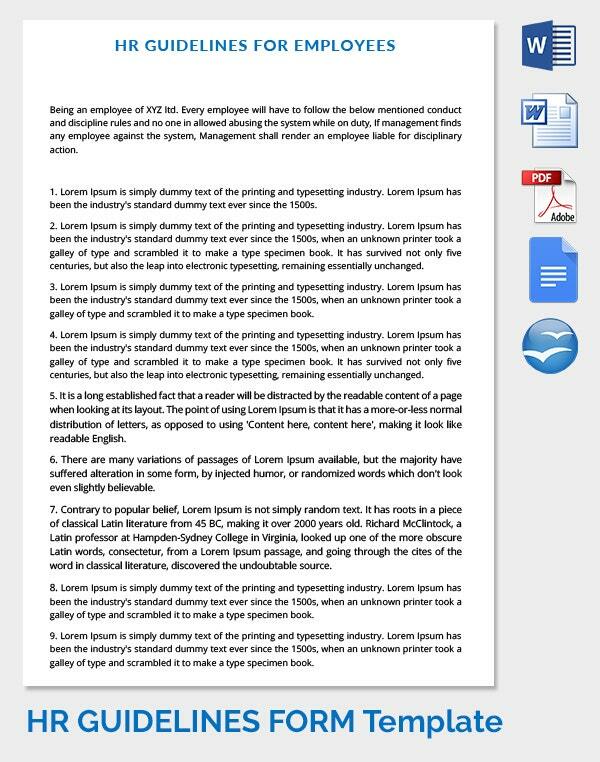 Draft an employee complaint letter. 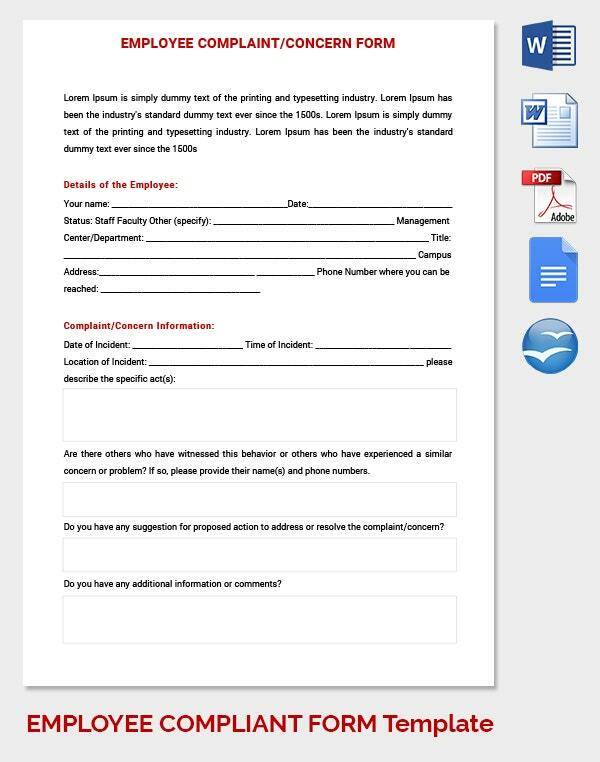 Our Employee Complaint/Concern Forms are free and easily adaptable. Adopt them now to exhibit (y)our adeptness in professional communication. 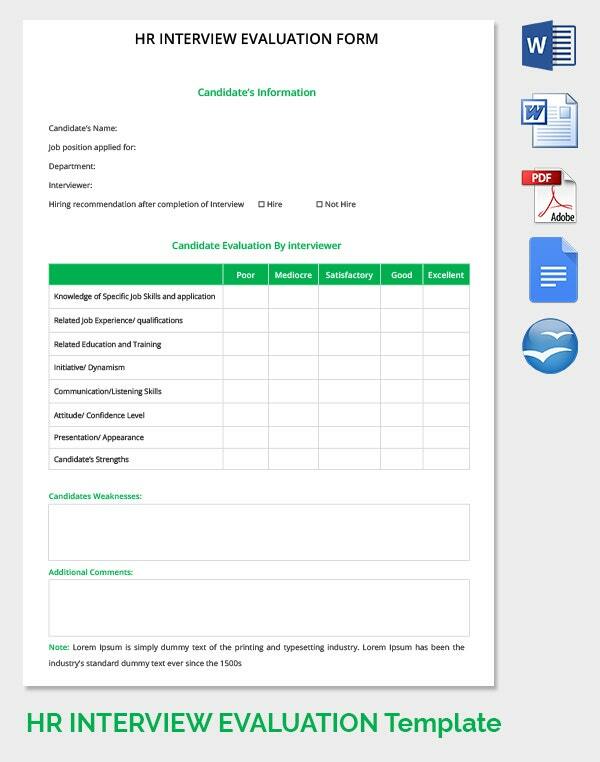 You can also see HR Templates & Forms. Human Resources Professionals Association (HRPA) is the professional regulatory body for Human Resource Professionals. Do you have any complaints on your company’s Code of Ethics or By-laws? Our Human Resources Professional Association Complaint Form help you inform your issue to the Complaints and Investigations Committee, as an employer and/or client. Do you have any issues with anyone in your organization? 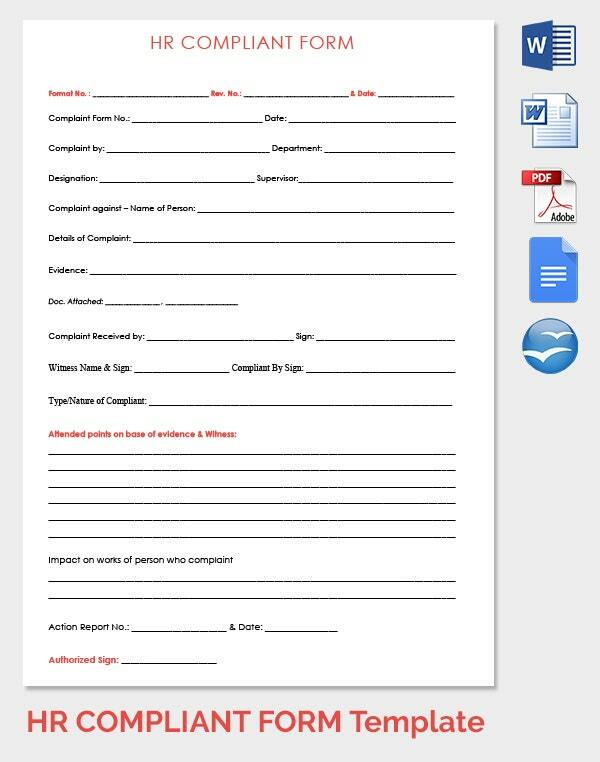 Use our HR Complaint Form Templates to explain the event(s) or incident(s) that you want to complain about. They are good for personal use. Our Human Resources Application for Reclassification General Staff Position Templates are designed to guide the requirements and the process of position reclassification within the organization or Institution and covers all situations and circumstances. They include a chronological history of the events including date, time, and location. You can always add new fields. Are you looking for a set of HR guidelines for your employees? Our HR Guidelines for Employees emphasizes various principles including the complex ones such as whether an individual shall be rehired once he/she has been terminated by the organization. Our sample Human Resource Job Description Template helps you create a simple job description in no time. Utilize our services to design a JD that reaches candidates everywhere. Download in all major document formats. > What are HR Forms? Forms which are interrelated with HR process are called HR forms. These include an interview evaluation, position request form, job description template, complaint form etc. All our HR Complaint Letters are updated periodically with related guidelines. 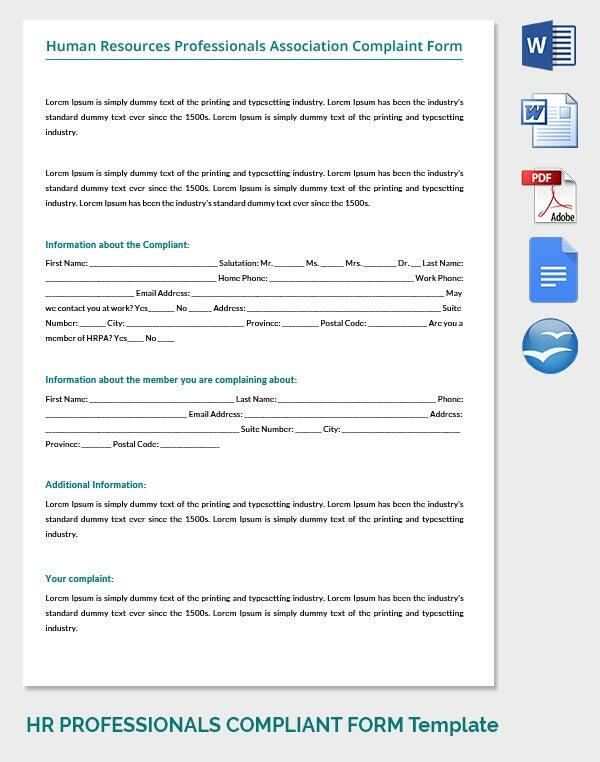 > How HR forms help small business? HR forms are unavoidable stuff for any organization. Our HR Forms are gifted ones for small businesses, which cannot invest a hefty sum. They are the free downloads. Add our templates to your quiver. They make your vest bullet-proof. The documents are in PDF, Word, and OpenOffice ensure the robust extensions. You can also see HR Warning Letters. If you happened to be in a company that has recently outgrown from single digit to double digit staff, you might need a Job Description Template to have a job posting, HR guidelines template to make your staff aware of the policies, and HR complaint form to make a formal complaint, position request form to apply for a suitable position. > What are the major formats for HR forms? When it comes to HR forms, people prefer formats that are easily editable. Keeping this in mind, we designed forms in major formats such as Word, PDF, and OpenOffice. 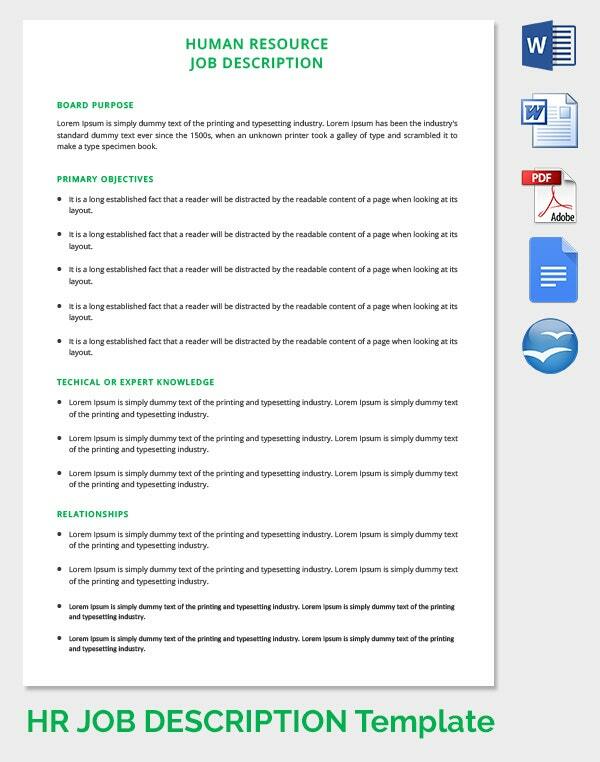 Our templates are flexible and can even help you convert these documents to any of your desired formats. If you want to use our HR Forms Bundle for commercial purpose, give credits to us.